The Indiana Department of Veterans Affairs will be visiting eight Hoosier communities over the next several weeks, holding Community Outreach events that will offer veterans, active duty members and their dependents opportunities to connect with services and prospective employers. Additional outreach events will be planned for Muncie, New Albany, Bedford and Jasper. Those interested in attending events in these communities can find more information here or call (800) 400-4520. “Each event will provide information and assistance with VA benefits, claims processing, remission of fees and even what to do if someone wants to enroll or return to college,” said Deanna Pugh, Director of Veterans Employment and Education. “The Indiana State Police, Dish, NiSource, United States Postal Service, Kroger and Lowes will be among the companies and organizations looking to hire employees to work in these communities. 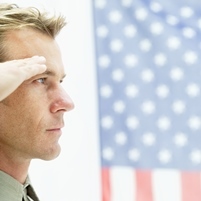 A new state law that took effect July, 1, 2014, allows for approximately 26,000 post-911 veterans to apply for assistance through the Military Family Relief Fund. This new law eliminates the three-year restriction on access to the fund, which provides grants that may be used for needs such as food, housing, utilities, medical services, transportation and other essential family expenses. The Military Family Relief Fund has a balance of more than $7 million and lifting the cap will ensure those funds are available to support Hoosier veterans and their families. Since its establishment in 1945, the Indiana Department of Veterans Affairs (IDVA) has remained focused on aiding and assisting “Hoosier” veterans, and qualified family members or survivors, who are eligible for benefits or advantages provided by Indiana and the U.S. government.